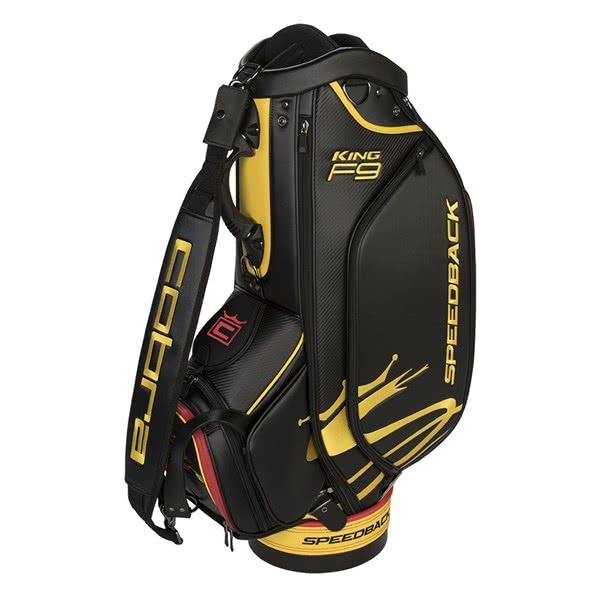 The Cobra F9 SpeedBack Tour Staff Bag features the traditional storage benefits of a tour bag but with a style and design that only Cobra could carry off. 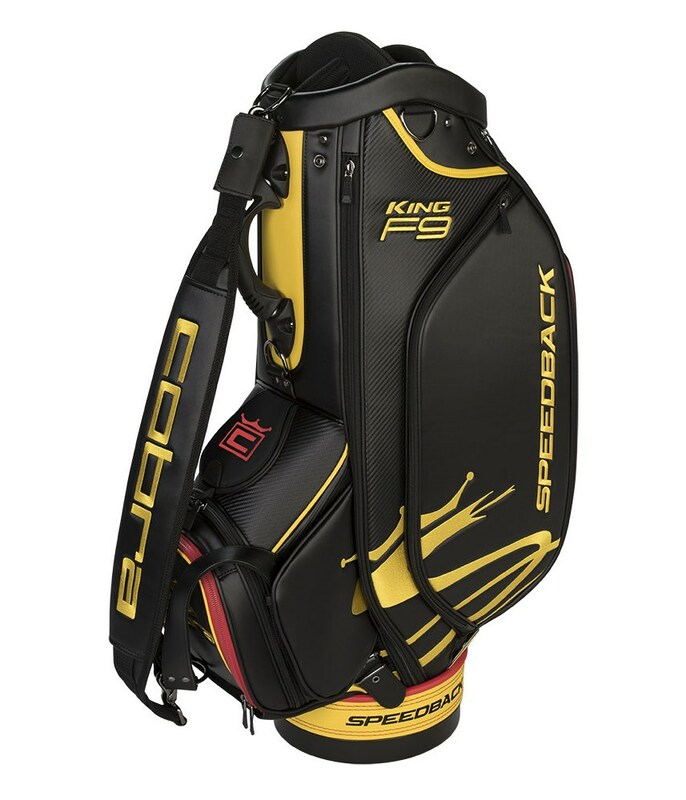 This premium Tour quality staff bag features a spacious 6-way to with designated full length club dividers that provide excellent club management and prevent grip crowding at the base of the golf bag. A total of seven pockets have been used to deliver maximum storage room. Access into every one of those seven pockets is easy and unrestricted even when the bag goes on a push/pull trolley. 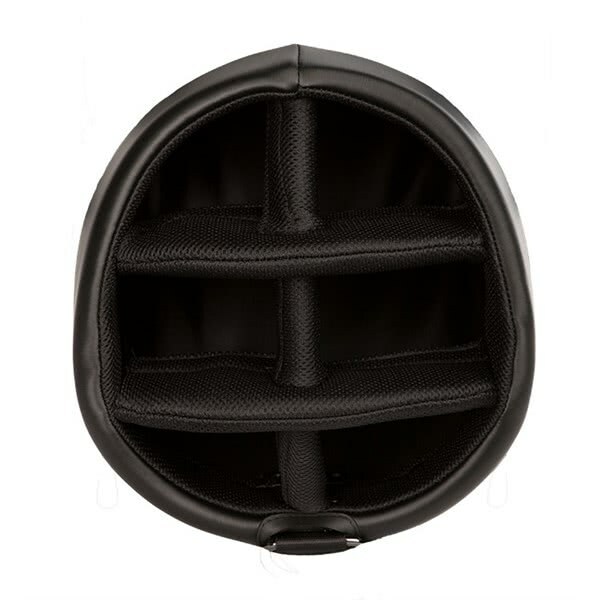 Included in the pocket layout is a full size belly pocket for apparel with multiple access points, a dedicated ball pocket, a dry pocket and multiple accessory pockets. 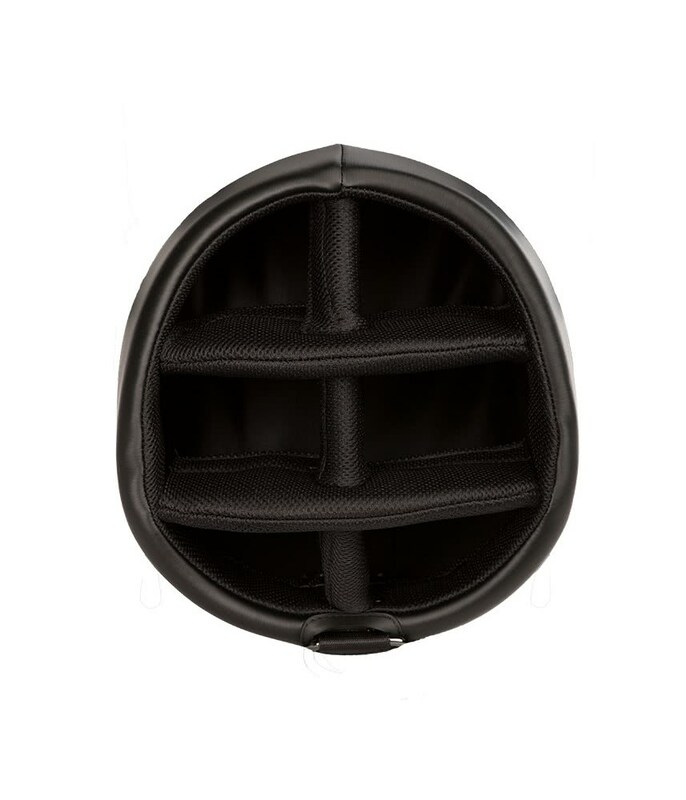 Multiple carry points including a single padded strap make lifting, loading and carrying incredibly comfortable. Other useful features on the F9 SpeedBack Tour Staff Bag include an umbrella sleeve, towel loop, a cart friendly base unit and a matching rain hood.